If you or a loved one are injured in a motorcycle accident in Greenacres, call a Palm Beach motorcycle injury attorney as soon as possible because the first few steps upon the accident are critical for a successful recovery of compensation. To get answers, call the Greenacres motorcycle accident attorneys at the Wolfson Law Firm. We will help you determine if you were entitled to compensation, and if you are, how to get compensated as you deserve as soon as possible. Call us now at 855-982-2067. Motorcycle accidents in Greenacres are nothing new. 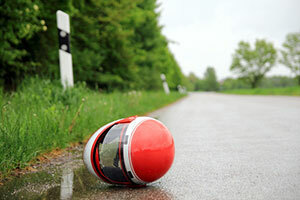 From all the 50 US states, 10-15% of the motorcycle accidents take place on Florida streets. Motorcycle drivers have much less protection compared to car drivers or truck drivers. Therefore, severe injuries and fatalities are more common among them. However, no one wants to pay the accident victims for their damages. You, as an injured victim, often must fight for the compensation that you deserve. Insurance companies may offer a settlement for much less than what the damages are worth. If a representative of an insurance company approaches you right after the accident trying to entice you to settle for a certain amount of money to conclude the recovery procedure as soon as possible, do not accept that before speaking to a lawyer. Instead, call us to help you determine how strong is your case and how much it is worth. From there, we can help you with the next steps. Our consultations are free. We don't ask for any fees until we recover for you. Greenacres is one of the smallest cities in Palm Beach County. It is inhabited by 40,000 residents. Most of them speak English as their first language. Even though Greenacres grows quite fast, with almost 30% per decade, it is not the wealthiest town in South Florida. The median household income is at $37,000. Greenacres and the surrounding areas are still being developed. On its west side, it borders with unincorporated communities. On the east, it borders with Lake Worth Corridor and Palm Springs, Aberdeen and Boynton Beach are on the south, and Royal Palm Estates and Golden Lakes to the north. This is not an exhaustive list of all the possible accidents. If you have been injured in another type of motorcycle accident, do not hesitate to contact our Palm Beach injury attorneys and let us answer your questions. The Greenacres motorcycle accident attorneys at the Wolfson Law Firm are available to help all the unfortunate good folks who have been injured or lost a loved one on the streets of Greenacres due to a motorcycle accident. Call our bilingual Greenacres motorcycle accident lawyers at 305-285-1115 for free consultations. You pay nothing until we recover for you, so there is no risk in calling us.